Why settle for a basic event when you could catapult your occasion to the next level by incorporating audio and visual effects? Whether you’re hosting a corporate meeting or a fancy gala, teaming up with the right audio visual company can make your event the talk of the town. By combining state-of-the-art audio and visual technology with trained specialists, your next event could easily turn into a day or night to remember. While the thought of planning and executing an audio and visual event may sound daunting at first, the process can be made easier by working with a professional audio and visual company and following a few simple steps. 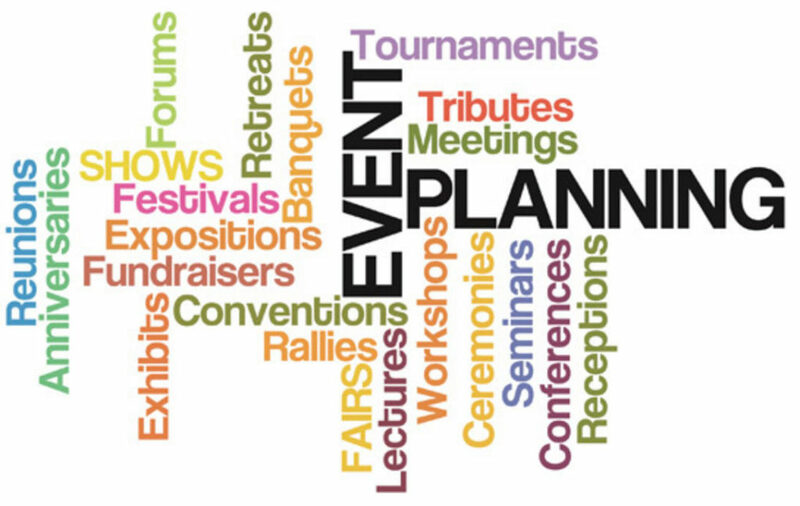 First, create a detailed plan for everything that you envision the event to be. Think about how you could use lighting, video and sound to create a vibrant setting and transport your guests to a whole new world. Consider factors such as the number of guests, the size of the venue and your budget as you begin to visualize your event. Write down any ideas that come to mind and be prepared to discuss them with the audio and visual team. Then, set an appointment to meet with the audio and visual experts to share your vision. Once you’ve explained your dreams for the event, the professionals can start to make them a reality by selecting the right assortment of technology. From sound systems to video screens and projections, the technicians can create an immersive experience for your guests that matches, or even exceeds, your wildest imagination. 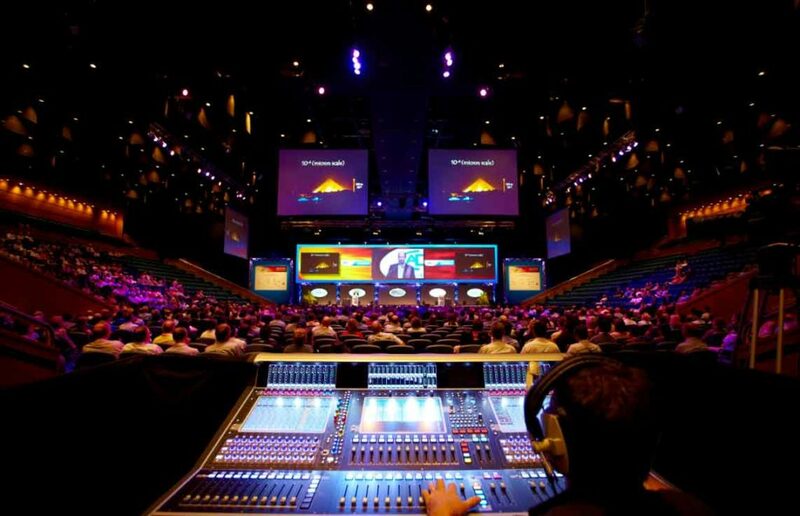 Every event is different and requires the right set up for audio and visual technology. A variety of factors, including the guest list, venue and budget, can affect what equipment you need to bring your dream event to life. By sharing your plan with the professionals, they can help you select the right audio and visual fit for your event. LED Panels – Ideal for small spaces, both indoor and outdoor, LED panels are a great way to add color and showcase images at an event. Screens and Projectors – For basic visuals, screens and projectors work as the perfect pair for displaying graphics and information. Projection Mapping – Transform any venue by using this form of visual display that can project video onto any surface, from the side of a building to a sculpture, and create optical illusions and 3-D art. Lasers – Add excitement to your event by incorporating lasers into the lighting display. Up Lights – By lining sections of the walls with up lights, you can easily add a splash of color to your venue without breaking the bank. Moving Lights – Create a party atmosphere with festive moving lights, which can cast colorful beams of light that dance around the room. Sound System – While the type of sound system that you choose to use will vary based on a number of components, you can easily match your audio needs to the size of venue, type of event and number of guests. Once you share your vision and the experts select the right combination of audio and visual equipment for your event, you can relax and let the technicians work their magic. The audio and visual gurus can set up all the equipment and test it to make sure that everything is working properly before your event begins. Before you know it, the transformation from a plain room to an audio and visual miracle will be complete. Now that you have a step-by-step guide to planning a successful audio and visual event, the process will hopefully seem much less daunting. If you still need help, a professional audio visual company can further help you in the production of your event and answer any lingering questions.